A large cloth sofa or a large leather sofa??? Once I got rid of my overstuffed, microfiber sofa with recliner on one end and chaise on the other, the bass and mids improved considerably. I thought the highs would be the main beneficiary but it turned out to not be the case. In fact, there was hardly any difference, if any. The size of the room plays a part as well and I listen in the near field so that was my situation. Leather can be more reflective in the high end. One trick is to use old speakers, especially corner speakers like the Klipshorns. Based on what Erik stated, a leather couch may be a better bass trap. The harder leather surface may act more as a "membrane" -- this is typically used in bass traps as a more effective way of absorbing lower frequencies and at the same time reflecting higher frequencies. Look at specs for 703 FRK fiberglass panels (that use a foil type membrane on the front). I think the above poster is thinking of a Tuned Membrane Bass Trap. This is, of course, tuned. The couch is not. The membrane better converts the longer wavelengths to heat energy than does the absorptive material. Toilets make a great bass trap. They are customizable too - depending where you sit and/or the fluid/solid levels you can tune them for the best sound. The only drawback is fitting the rest of your gear in the toilet - usually the door won’t close - audio is frustrating. Seriously for good bass trap you need at least three if not four GIK corner traps. A large smooth leather sofa will be best. Cloth will absorb too much highs relative to lows. Why do you think here's some element of more efficient bass absorption when you place a flexible reflective material in front of a highly absorptive material?? If you compare the numbers for Owens 703 2" and Owens 703 FRK 2". Both are exactly the same fiberglass, same density, same thickness. The only difference is that FRK has a thin metal foil applied to the front of the panel. 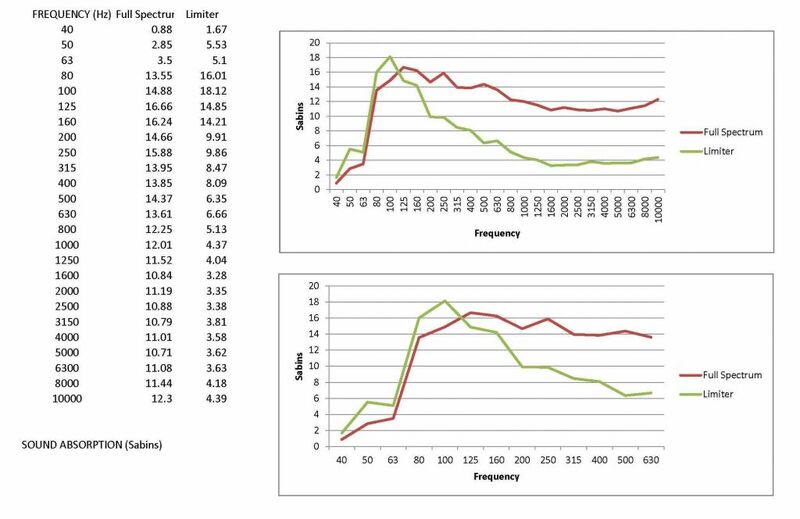 When you compare the sound absorption numbers for 125Hz, you’ll see that normal 703 is 0.17, but the 703 FRK is higher at 0.63 (means it absorbs 63% of sound at the 125 Hz frequency). Obviously, this is not a full-blown tuned membrane, but it is giving a similar behavior to a membrane type bass trap. The only theory I have here is that the foil is acting as a type of pressure based membrane. They just put a hard but flexible membrane right in front of the sound absorption layers. The result is more absorption in the lower frequencies (100Hz and under) as well as less absorption of upper frequencies. Please remember that this is still not a "tuned bass trap" like the Scopus traps or a limp mass membrane bass trap. The tuned bass trap would require a specific distance between the membrane and the back of the cabinet. One of those large designer bottles or vases should make a really nice Helmholtz resonator.